With a new governor who has proposed making a historic investment in programs to support young children and families, Californians with interest in early childhood policy have a lot to talk about these days. Last Thursday, they had their chance. New America and the Learning Policy Institute hosted a forum and reception in Sacramento for dozens of policymakers, researchers, and educators in the world of early childhood education in California. Ann O’Leary, chief of staff for Governor Gavin Newsom and a national policy advisor on early childhood issues across many roles over the past decades, presented the keynote address. Early childhood education, O'Leary said, "is not a small thing" for Gov. Newsom. "It wasn't the 10th issue or the 12th issue, it was one of the front issues that he ran on. He talked repeatedly and run campaign ads on early childhood." She added that he not only understands the science and is committed, "he is also the father of four young children, and that makes a difference. You see it in the way he thinks." The event also featured remarks from Linda Darling-Hammond, president of LPI, and a panel discussion led by Sarah Jackson of New America. Panelists included Deborah Stipek of Stanford University, LaWanda Wesley of Oakland Unified School District, Kim Pattillo-Brownson of First 5 LA, and Hanna Melnick of LPI. More about the event can be found here and video is below. New America published three community profiles of Fresno, Oakland, and the Franklin-McKinley School District in San Jose. These profiles, which feature graphics showing progress in these communities, are part of a larger body of work on how to support adults who teach and care for children in California. 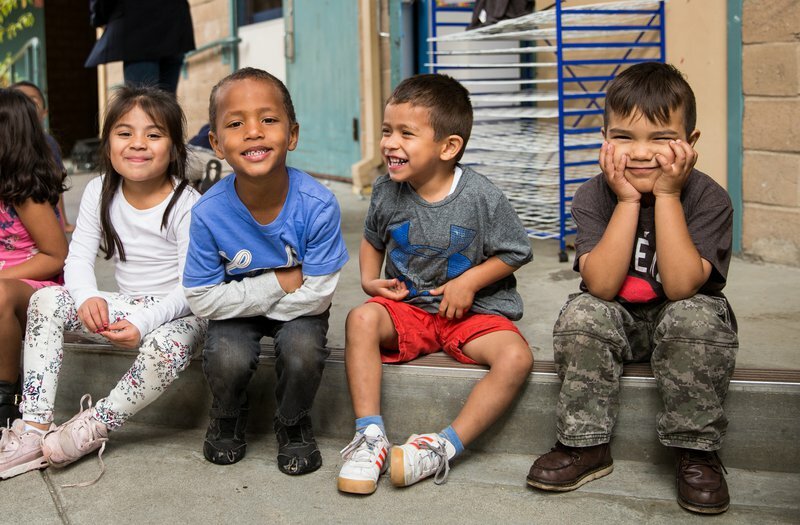 Our reporting, analysis, and documentaries can be found at newamerica.org/californiaece, along with our 2018 policy report, Lessons from Three California Communities on Strengthening Early Education. The Learning Policy Institute’s report, Untangling the Evidence on Preschool Effectiveness: Insights for Policymakers, which reviewed 21 evaluations of public preschool programs. LPI has also released Building an Early Childhood System that Works: Next Steps, which examines 10 California counties that vary by region, population density, and child care affordability, and features examples of promising practices. Indispensables for Quality Pre-K, an interactive online resource and downloadable one-pager that highlights 3 policies and 3 practices for high-quality teaching and learning in pre-K. This resource, which was first published in July 2018, distills statements from a year-long consensus project facilitated by New America. It is published by the Alliance for Early Success. In addition, last Friday New America and LPI co-led the early childhood breakout session at the annual conference of Policy Analysis for California Education (PACE). It featured Anna Arambula, the Fresno Language Project Coach at the Fresno Unified School District; Beth Meloy, Senior Researcher and Policy Analyst and Co-Lead of the Early Childhood Learning team at the Learning Policy Institute; Vickie Ramos Harris, Associate Director of Education Policy at the Advancement Project; and Deborah Stipek, Professor at the Stanford Graduate School of Education and Faculty Director at the Haas Center for Public Service at Stanford and Faculty Director of PACE. Stipek is the author of the early childhood brief that is part of PACE’s recent report, Getting Down to Facts II. Slides from the early childhood session are available here.